The residents formed a cooperative in 1947 and crafted by-laws calling for improvements to the community such as stocking the stream(s), and conservation of the flora and fauna of this beautiful area. They discussed ways to build up Pine and its surroundings into a greater community for resort and business. In 1948, PECIA bought a town fire truck and built a firehouse, which was deeded to North Fork volunteer Fire Department. When the new Pine Fire Station was expanded, the old firehouse was deeded back to PECIA and now houses the town tractor. 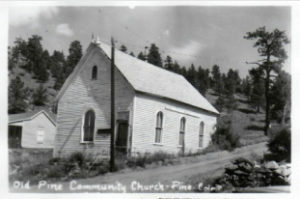 The Pine Community Center, a turn of the century Methodists then Mormon Church, was purchased for $100.00 in 1949 and paid for by William Baehr, who built the Pine Valley Ranch. 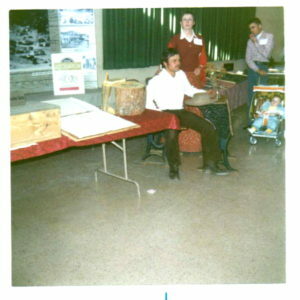 In the 1970s, dedicated volunteers from PECIA worked to save this historic building from demolition. In 2010, PECIA obtained a grant from the State Historic Fund to renovate and restore the Pine Community Center.